Interior design is easy when you add this high quality Artistic Weavers Tarapoto accent rug to your home. Complete your home's contemporary design with this indoor rug made of plush synthetic material. This rug is hand-made, which ensures a strong product. Maintain your modern home aesthetic with this floral plants patterned purple rug. This Artistic Weavers Norte accent rug infuses contemporary style into any room in your home. Crafted to be an indoor piece, its plush wool material is unique and comfy at the same time. This hand-made rug is durable and modern. Add this geometric patterned grey rug to the dicor of your home for a contemporary infusion. Tarapoto Purple 2 ft. x 3 ft. Indoor Contemporary Rectangular Accent Rug Interior design is easy when you add this high quality Artistic Weavers Tarapoto accent rug to your home. Complete your home's contemporary design with this indoor rug made of plush synthetic material. This rug is hand-made, which ensures a strong product. 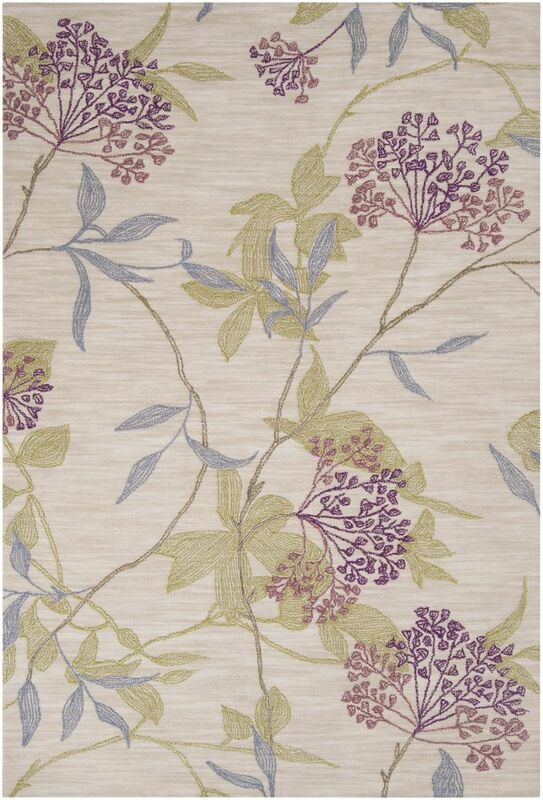 Maintain your modern home aesthetic with this floral plants patterned purple rug.